Mozilla strongly advocates One Web with different views into it, depending on the limitations or abilities of the device being used to access the web. At Mozilla, we generally apply the term Device API to mean Application Programming Interfaces (APIs) available to web content that allow access to hardware or underlying platform features, including cameras, GPS systems, connectivity, battery levels, and Personal Information Management (PIM) stores. 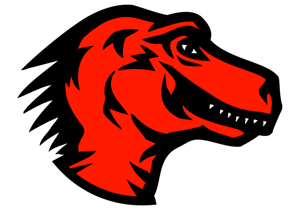 As a guiding principle, Mozilla believes the user should be in control of any sensitive information shared with Web applications; that permission(s), once granted, can easily be reviewed (e.g., see a list of sites that have been granted permissions and what those permissions are) and easily be revoked. The next section discusses these positions in further detail. Historically, when an application seeks to cross a safe "sandboxed" execution zone to one that has implications for the user (including privacy or security implications), a dialog box has been raised to alert users. Mozilla's position is that such dialog boxes should expressly NOT be modal and blocking in nature, AND that access to features that are not part of the safe execution zone should be denied by default. A study conducted by the Psychology Department at North Carolina State University, cited by Ars Technica, on the actual impact dialog boxes have on user actions. The study suggests that users do not take sufficient time to absorb presented information, and that users generally find such interruptions more of a hindrance than a benefit in reasoning through security implications. Note that while Mozilla looks forward to publication of this study (scheduled for appearance in Proceedings of the Human Factors and Ergonomics Society), Mozilla does not agree with the editorial tone of the Ars Technica article with respect to user aptitude. A paper by Peter Gutmann (University of Auckland) discussing usability factors in security. General themes include users "clicking to dismiss" for flow continuation, unhelpful messaging through dialog boxes, and the mismatch between a software developer's ideal expectations about a user's actions, and a user's actual actions. Caveat: User Interfaces (UI) presented in this section are for illustrative purposes only, and do not reflect final product UI in Fennec or Firefox. A "close" option, for example, is missing, and is likely to be added in subsequent iterations of this UI. Again, web content will render below the infobar. User agent implementations may choose to silently fail the initial invocation, but re-invoke the API after permission (and specificity) has been granted. In order to enable this mechanism of user notification and user interaction, Device APIs should be asynchronous. Device APIs should be asynchronous; in particular, user agents should not have to block on return values of Device API function calls, and Device APIs should be driven by callbacks. The stipulation for APIs to be asynchronous supports the point about NOT having modal (blocking) dialog boxes, since waiting for a return value (in synchronous APIs) makes non-modal user interfaces (UI) difficult to design. The security principle behind this position is thus one of UI flow for permission solicitation. In general, asynchronous APIs are useful in scenarios where developers have to consider network latency, since waiting for return values can cause blocking or application delays (including timeouts). Avoiding lags or timeouts with asynchronous APIs allows user agents to silently fail functions till user permission has been granted. Furthermore, synchronous APIs can reveal information about the user. For instance, an API design that blocks until the user makes a selection must explicitly inform the web application that the user has denied them access, usually through an error code. In the more specific case of geolocation, simple failure to return location information could have many causes, including user permission denial, lack of signal strength, or lack of a GPS subsystem. The user agent need not provide any further information. // Show a map centered at (position.latitude, position.longitude). In the example above, the Geolocation object's asynchronous getCurrentPosition function is invoked with a developer defined callback function called showMap, which handles return values associated with the asynchronous function call. Recently, a security bug (which has since been fixed) was uncovered in Flash whereby the configuration and settings panel could be spoofed via a clickjacking attack from within web content. In particular, this resulted in inadvertent access to the device's camera. This example illustrates the potential for malicious access to hardware and platform features through APIs available to web content (plugins in particular), but which fall outside the scope of Device APIs directly supported by user agents. A hypothetical scenario in which a plugin such as Flash supports a similar Device API as user agents illustrates this point. Suppose a plugin supports the W3C Geolocation API, which is also directly supported by user agents. Currently, in a web application leveraging this plugin, there would be a permission granting flow in UI specific to the plugin, and in a web application directly deployed in user agents, there would be a different permission granting flow specific to the user agent. The net result is user confusion, and an increased attack surface for tricking users to grant permission through web content. Note that advocating this position does mean that the legacy Netscape Plugin API (NPAPI) may have to be reworked so that binary extensions of user agents can also asynchronously invoke the user agent's UI and permission model. It is not Mozilla's intent to dictate final UI in other applications, including plugins; in this paper, we advocate the position that one UI flow for permission solicitation for similar features minimizes user confusion, and is a recommendation, not a requirement. The areas below are presented as discussion points, but not as Mozilla's advocated positions. We welcome further discussion on these ideas. Typically, security discourse on the web has featured protecting users from malicious web content. The proliferation of mobile devices as a means to access web content raises the additional role of the network operator as an entity that must also be protected by Device API security considerations. Not all network operators may wish to enable applications that access cameras, for example. There may be valid bandwidth reasons for limiting certain camera applications, alongside valid contractual reasons. Similar reasoning applies for enterprise proxies, who may wish to limit access to hardware and platform features as well (including cameras and geolocation). A hypothetical example illustrating this might be that a given device is in a location where it has a choice of multiple wireless networks. One of the networks expressly does NOT allow uploads from the device of image captures (whether video or image uploads). Another does. If both networks exposed this as a standardized policy, the device may be able to choose the network to leverage for camera API web applications based on policy. Mozilla solicits general developer feedback on mechanisms (including standardized interfaces) that allow networks to expose policies. The proliferation of mobile devices to access web applications which are also Personal Information Management stores (address books) creates scenarios where trust and reputation systems can be used to make decisions, including hardware or platform access from web applications through Device APIs. 12 people in your address book have allowed Map Your 'Hood to know where they are. Would you like to tell Map Your 'Hood Exact Location | Neighborhood | City | Nothing ? Your friend Dominique has allowed Map Your 'Hood to take photos of locations and post them. Would you like to allow Map Your 'Hood to access your camera? Essentially, the potential use of social networks to establish trust and reputation for applications that seek to cross "sandboxed" boundaries may be evaluated against operator certification or evaluated against other reputation mechanisms including verification by a certificate authority in signed code scenarios.